312 E Prairie Point Ct.
Small enclave of 20 cottage style patio homes (builder, home plan and exterior must be approved). Minimum SF on the main level is 2,000 SF. Very quaint village feel with lots of commons area. 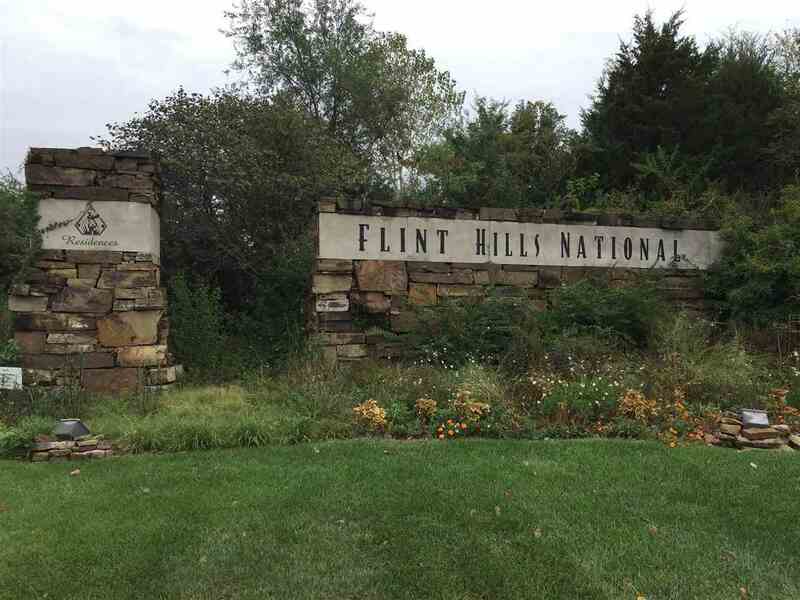 One of the least expensive lots in Flint Hills National. This beautiful area is part of the nationally ranked Flint Hills National Golf Course community. NO SPECIALS!! Miscellaneous Features: Architectural Control Co. This information is not verified for authenticity or accuracy, is not guaranteed and may not reflect all real estate activity in the market. ©2019 South Central Kansas Multiple Listing Service, Inc. All rights reserved. IDX information provided is for consumers' personal, non-commercial use and may not be used for any purpose other than to identify prospective properties consumers may be interested in purchasing. Data last updated: 2019-04-24 14:33:02.